Simplaex’s AI technology to classify, target and retarget online users has been among the first data intelligence companies to fully comply with the GDPR. 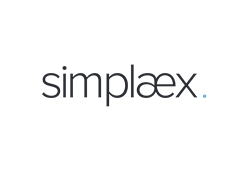 Simplaex, the world’s most advanced Artificial Intelligence-powered user classification technology, saw 2017 revenues increase 3x over 2016, headcount climb to 28, and strong market share worldwide, according to Co-Founder and CEO Jeffry van Ede. Simplaex’s success can be directly attributed to the ongoing development and application of Wallace, it’s artificial intelligence technology. Wallace is the AI-backbone that fuels their product suite and enables advertisers continuous performance improvements across the programmatic advertising ecosystem. “Our customers come to us because we understand their unique challenges and provide a proven solution that meets their dynamic needs,” said van Ede. “Wallace, our AI technology, gives them a competitive advantage through improved data quality and enhanced transparency in today’s competitive digital marketing landscape. "In fact, for some clients, it was their first step into the programmatic arena, and it was vital for them to have an engaged partner that supports their new journey, educates them and supports their staff by sharing our knowledge and expertise across hundreds of RTB campaigns,” added van Ede. Simplaex’s growth has been exponential as more and more companies begin to understand the true value of their existing customers and the role and impact AI can have within their marketing mix. As a result of 2017’s momentum, Simplaex has also begun to build out its product suite - with the addition of convenient toolsets for media agencies, helping them to boost their client’s interactions with their audiences. Simplaex is the world’s most advanced Artificial Intelligence-powered user classification technology. Simplaex’s AI platform enables brands and marketers to understand a consumer's digital behavior in real-time to acquire net new customers, retain their most-valued customers, and find new opportunities for monetization. Through advanced technology and artificial intelligence, we support advertisers in creating meaningful interactions with their audience. Simplaex is backed by Target Partners, Antheria Holding AG, and High-Tech Gründerfonds. Simplaex is headquartered in Berlin. For more information, visit http://www.simplaex.com or follow us on Twitter, Facebook, and LinkedIn.